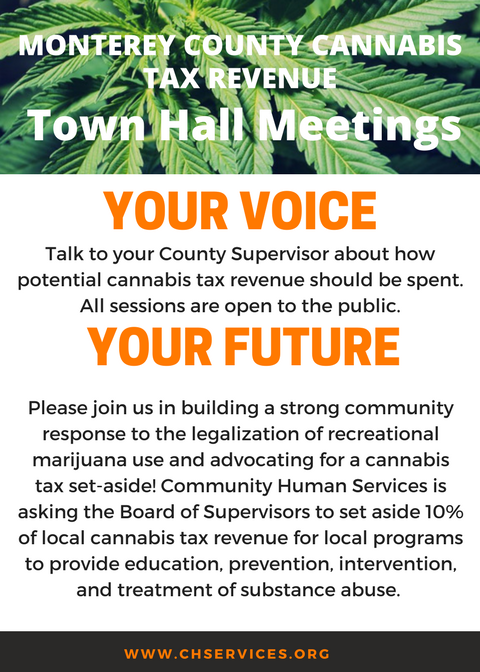 Please join us in building a strong community response to the legalization of recreational marijuana use and advocating for a cannabis tax set-aside! 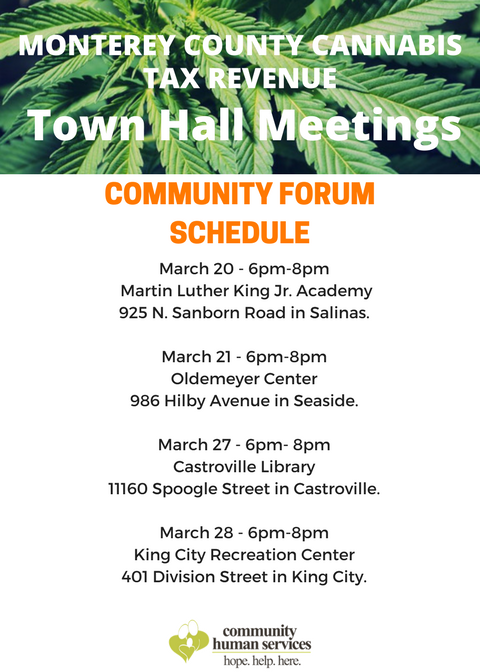 Community Human Services is asking the Board of Supervisors to set aside 10% of local cannabis tax revenue for local programs to provide education, prevention, intervention, and treatment of substance abuse. Communities in Colorado and Washington, the first two states to legalize recreational marijuana, have experienced unintended consequences of increased substance abuse and addiction. Substance abuse negatively impacts individuals and families, public health and safety, law enforcement and the judicial system, and educational and employment outcomes. We feel strongly that Monterey County should anticipate these highly potential negative and costly consequences and be pro-active by ensuring adequate funding to address them. Help us get this message to the Board of Supervisors!